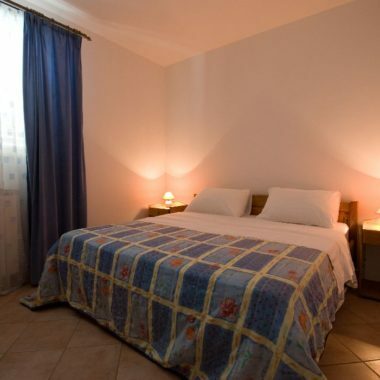 In Vrsar, pearl of the croatian riviera, situated on a hill overlooking the old town you`ll find the Zuzic family apartments. 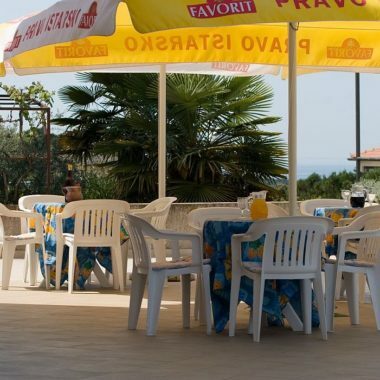 To our dear guests we can offer nice, modern, comfortably and tastefully refurnished apartments and rooms, a beautiful garden with a grill and a large terrace where you can enjoy and relax in the sun. 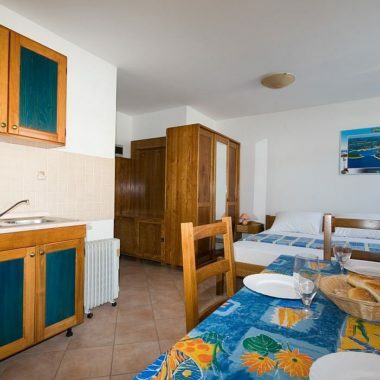 The apartments have one or two bedrooms, a living room with kitchen, a bathroom with shower and a balcony or terrace. 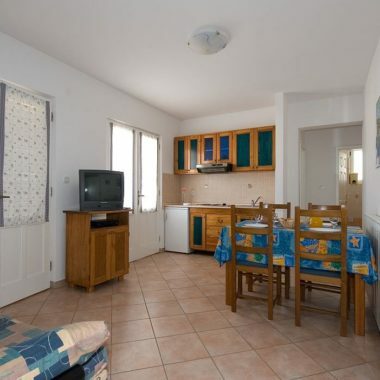 There is central heating, air conditioning, wifi internet and satellite tv. There’s extra bed possibility too on a couch in the living room that can be turned into a bed for 2 people. So near to the sea, but at the same time far away from the noise of the city nightlife, our apartments are the right place for a more enjoyable and a more complete holiday. We wish you a nice stay ! Loved it! The owner was extremely pleasant and helpful. The flat was immaculate and comfortable. We loved it!